Grogged ceramic vase marked CRANK A7(T) SPY? 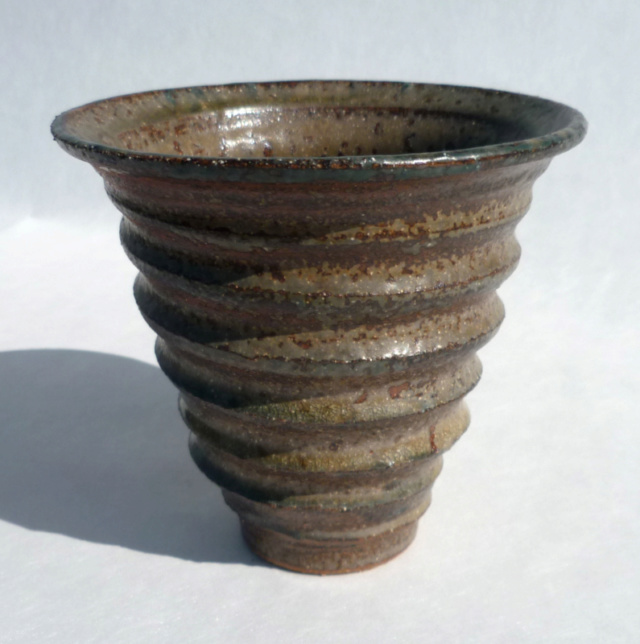 Can anyone make sense of this very tactile vase? I have a feeling it might be a test firing owing to the 'marks' underneath. CRANK ... isn't that a specific grogged clay? The bracketed T ... could that mean 'T Material'? ... And is it SPY or 5PY? As to who made it ... I have no idea ... I bought in the UK ... but IS it English? 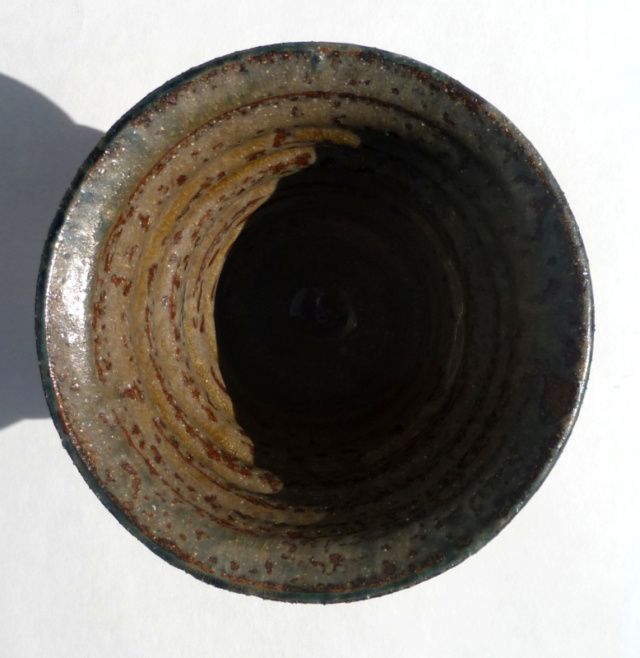 5.5" high ... 6" diameter. Any clues will be appreciated ... Thanks! Re: Grogged ceramic vase marked CRANK A7(T) SPY? 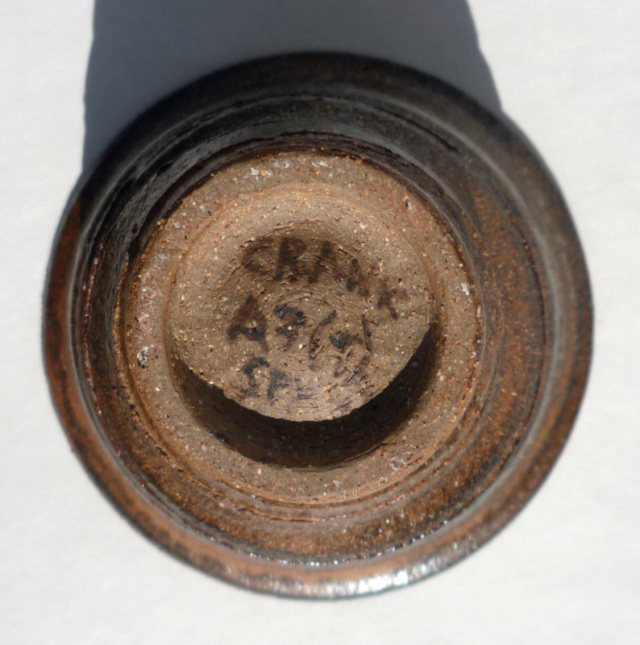 Yes, Crank is the name of a specific type of grogged clay, so most likely it’s a glaze test piece.